Can you believe I designed these before Easter? I wouldn’t have believed it myself, but that’s a big part of the fun of design! Design what you want when you want, and the time to use it will come around. 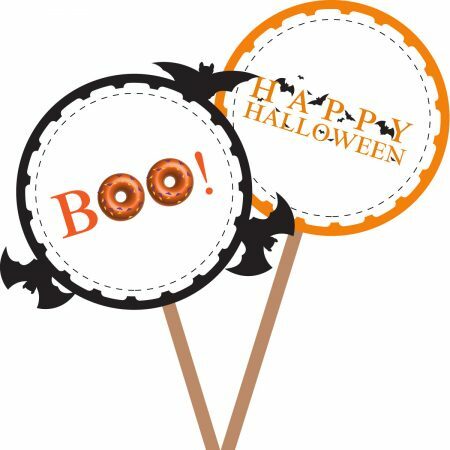 The ‘Boo’ topper features orange-iced doughnuts with bat sprinkles. Too much? What’s too much?